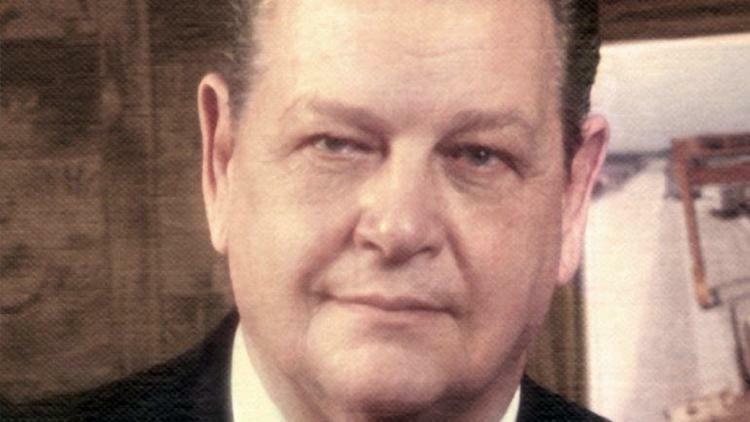 Jack Lanigan Sr. was a pioneer in manufacturing cranes, and he went on to expand his businesses into a south suburban industrial conglomerate, incorporating everything from railroads to technology to heavy equipment distribution. Lanigan, 91, died of natural causes Dec. 2 at Silver Cross Hospital in New Lenox, his son said. He had been an Orland Park resident for the past decade and previously lived in Tinley Park for a quarter-century. Born in Chicago, Lanigan attended the now-closed Our Lady of Solace School. He served on a minesweeper in the Navy during World War II and was one of the first Americans to enter Nagasaki, Japan, after the detonation of the atomic bomb. After the war, Lanigan worked for the Chicago Surface Lines street railway system as a laborer then took a job overseeing electrical work for construction of the first part of the Eisenhower Expressway. He later became a utility lineman for the city of Chicago. While working for the city, Lanigan encountered difficulty installing utility poles when cars were parked on the street, blocking crews from moving poles into place. That prompted him to devise a boom crane that could lift utility poles from the back of a truck and over parked cars. Lanigan’s manager at the time took the idea to the newly inaugurated Mayor Richard J. Daley, who encouraged Lanigan to take a leave of absence from the city to develop the boom crane. Daley also pledged that the city would buy the first five of those cranes. Lanigan named that company Mi-Jack after two of his sons. He later closed the firm and began selling Drott Travelift cranes for the now-defunct Gleason Cranes company. Lanigan resurrected the Mi-Jack name in 1967 to form a company, based out of his kitchen in Dolton, that distributed cranes. In the early 1980s, Lanigan expanded to manufacturing cranes. By the mid-1980s, with Mi-Jack cranes operating in railroad yards around the country, Lanigan broadened his company’s offerings to operating intermodal rail yards as a contractor for freight railroads. To run the intermodal yards, Lanigan formed a company called ITS Technologies & Logistics, which he later sold. Lanigan expanded into other many areas, ultimately forming a Hazel Crest-based conglomerate called the Lanco Group. Among the companies in Lanco’s stable are Broderson Manufacturing, which makes rough terrain cranes; Greenfield Products, which manufactures specialized attachments for forklifts and all-terrain cranes; and numerous crane and heavy equipment distributors and dealers. Lanigan later ventured into railroad operations. In 1998, the nation of Panama announced it was taking bids for a 50-year concession to rebuild and operate its 47.6-mile railroad stretching across the Isthmus of Panama. With Mi-Jack’s cranes having had a long presence in Latin America, Lanigan banded together with the Kansas City Southern Railway to submit a winning bid to operate the line, called the Panama Canal Railway Co. Eventually, Lanigan’s Lanco Group grew to encompass nearly two dozen companies, and expanded to include a sports and entertainment division as well. Lanigan never retired. When he wasn’t working, he spent time with his family and he gardened, his son said.